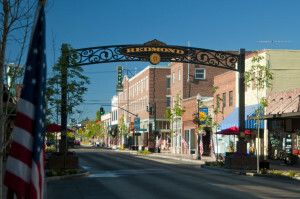 Redmond: Oregon’s Exciting Central Hub! As one of the fastest growing cities in Oregon, Redmond is home to Central Oregon’s only commercial airport. It’s also the gateway to an array of natural wonders, and the charming and eclectic experience of a beautiful downtown area. Whether hiking the high mountain trails at Smith Rock or shopping for art and antiques downtown, there is an activity for everyone who visits this high-plains gem. 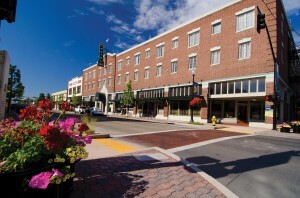 While it is relatively small, Redmond offers big-city experiences that include high-caliber dining and unique shopping destinations. 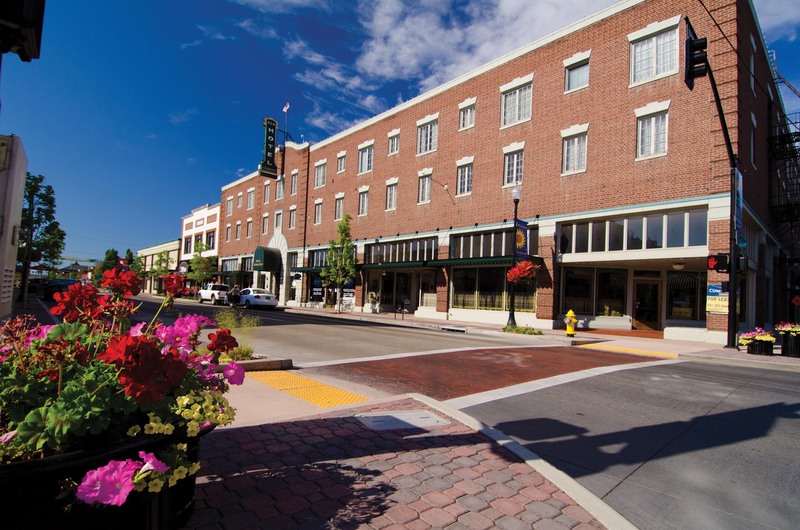 Stroll through Redmond archway and spend a lovely day exploring the newly remodeled downtown that offers charming and rustic shops that are run by locals. For local gifts or mementos to commemorate a visit, check out Cornerstone Book & Gifts. Fine fashions can be found at The Blvd or at Bottoms, Boots, Bags and Bling, while a treasure trove of antiques are waiting to be discovered at The Old Creamery Antiques. During the holiday season, downtown is awash in lights and cheer, and offers activities like the St. Charles Redmond Starlight Parade “Run Rudolph Run,” while the Holiday Village Market offers holiday crafts and food items in a European-styled setting surrounding the Redmond City Christmas Tree. The Pacific Northwest is known for farm-to-table cuisine and Redmond is no exception! Sample artisan pub food that’s made from scratch with local ingredients or one of the largest selections of meads and ciders in Central Oregon at Smith Rock Brewing Company. 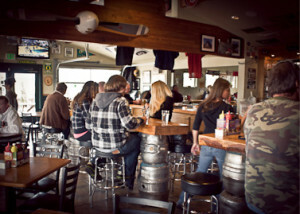 7th Street Brew House came into existence as a result of the wildly energetic reception of Cascade Lakes Brewing Companies craft beers in the region. From the mug club membership to taco night, 7th Street describes itself as “the hometown favorite in Redmond.” The venue is cozy and welcoming in both warm cold seasons with garage doors that elevate to keep cool and fire pits to warm patrons on winter nights. 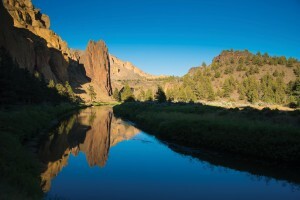 Venture outside of town for an unparalleled experience at Smith Rock, one of the birth places of American sport climbing. Thousands of routes winding up the towers of volcanic ash attract climbers from all over the globe, including those heading out on more than 1,000 bolted routes. Routes are available for all levels of climbers. For those not climbing, there are also hiking and mountain biking opportunities in the park where it’s common to spot golden eagles, prairie falcons, river otter and beaver. 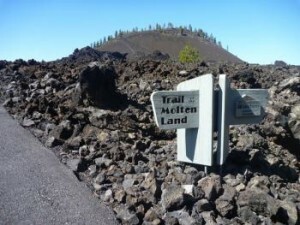 Newberry National Volcanic Monument is another recreational playground for thousands of visitors each year and offers two alpine lakes – home to trophy-size brown and rainbow trout, as well as kokanee and Atlantic salmon. On top of that, there are seven different campgrounds in the crater that offering group, shoreline, or horse camping, along with boat ramps. During the winter, the crater is also a great destination for snowmobiles and cross-country skiing. Explore the Central Oregon crossroads of Redmond by easily booking a SkyWest-operated flight from San Francisco, operating as United Express. Find the best fares today at united.com.